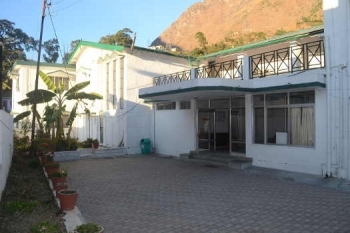 GMVN TRH in Pipalkoti is a deluxe rest house between Chamoli and Joshimath. Pipalkoti is a small and scenic town situated at an elevation of 1,260mts above sea level. It is located 17kms after Chamoli on NH58. Accommodation in GMVN Tourist Rest House Pipalkoti is categorized under AC Rooms, Deluxe Rooms, Economy Class and Dormitory. The rooms are affordably priced in comparison with other private hotels. 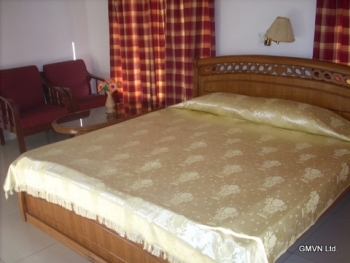 GMVN Tourist Rest House is located in the main Pipalkoti market. Pipalkoti is situated at an altitude of 1,260mts above sea level at a distance of 219kms from Rishikesh railway station in Chamoli district of Uttarakhand state. The GMVN Pipalkoti offers 01 AC, 03 Deluxe, 10 Economy and 12 Bedded Dormitory making it best place to stay on the way to Joshimath. Each room has all basic facility and amenities such as Cable TV, attach bathroom and hot water supply etc. The restaurant in the GMVN Pipalkoti serves mouthwatering delicious food.